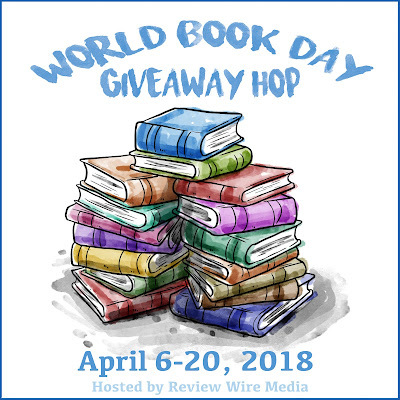 From now through April 20th, hop along to all participating blogs for a variety of great book and book related giveaways! There is no limit to how many you can win, so hop along and enter all! If you took a look in my kitchen you'd see stacks of them- here, there, everywhere! Sure, there's always Pinterest I suppose, but there's nothing I love more than cracking open a good ol' fashioned cookbook! So naturally, I have quite the selection. I love mixing it up. I have cookbooks for baking, cookbooks for southern meals, diabetic cookbooks, gluten free cookbooks... sure, these might not be diets that my family eats on a regular basis--- but I love to mix it up... and I love knowing that if someone who DOES require these special cooking methods comes for a visit, I know how to prepare the meals and have lots of great recipes on standby. Makes sense, right? 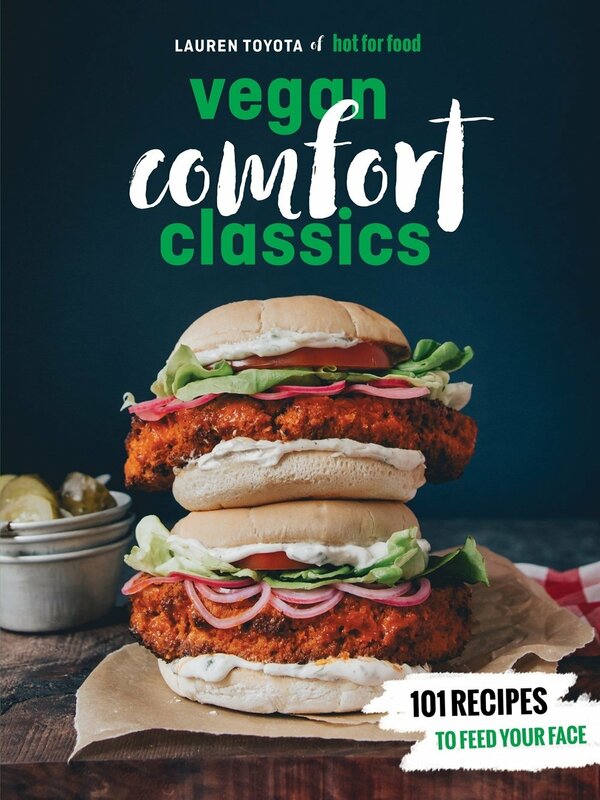 So I loved the idea of adding a vegan cookbook to my collection as well, and Vegan Comfort Classics sounded like the perfect one. As I said before, I am not a vegan. I am however a vegetarian, so I liked the idea of finding more meatless options to enjoy with my family. And a quick glance through this cookbook let me know that these were recipes that meat eaters and vegans alike could enjoy. These aren't salads and vegetables, but truly had a variety of hearty delicious meals. 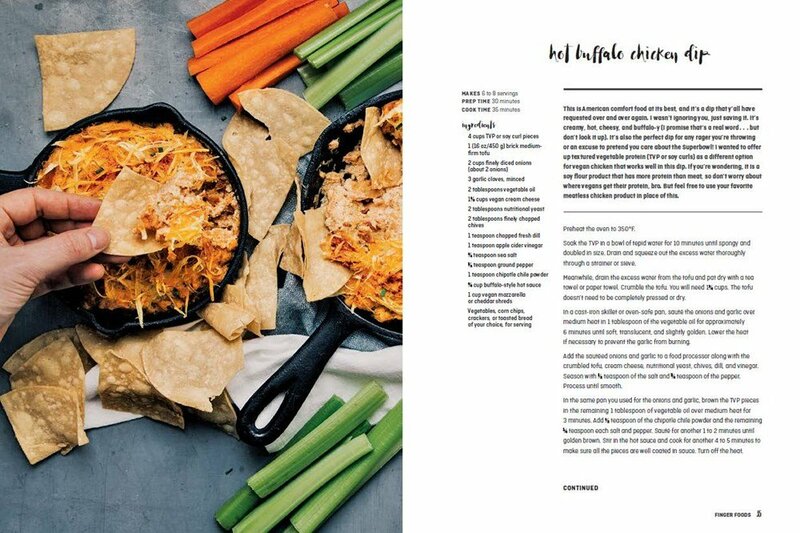 Now, I must say that I was really hoping that this cookbook would feature various protein alternatives for those meatless meals, however it mostly featured 'fake meat'... those meat substitutes made to resemble and taste like the real deal. This is great for getting the meat eaters to try something new, but unfortunately I have issues with these making me ill, so I was a little disappointed in that aspect for myself. Still, the recipes were easy to read and follow, the recipes looked amazing and the book itself was absolutely stunning. It featured gorgeous full page photos that made you truly want to dig right in and cook each dish! Whether you're a vegan already or just looking to add some meatless meals to your menu, this is a great cookbook to check out. It is available to purchase now at your favorite book retailers. This is just the thing for my vegan niece (and for the rest of us that want to eat real food along with her). It sounds like a great cookbook. I would love to try the recipes in this book.